Building links has always been a staple of SEO but with the changes in Google – Panda and Penguin – this became more complicated. Social Media provides a natural and interactive method of building links which is what Google is looking for. 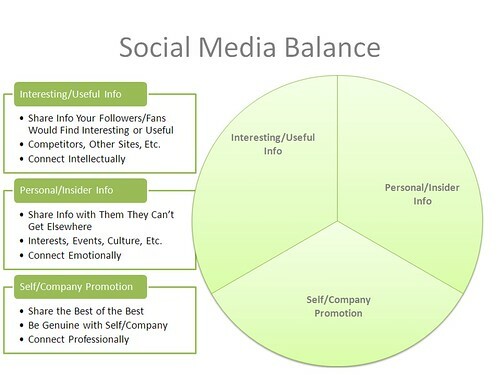 This article in Social Media Today lays out the steps, the whys and what fors. Over the last year or so we have seen many changes to the way companies go about implementing their link building campaigns. With search engines like Google looking to distinguish between high quality websites with authority and spam sites producing numerous backlinks to climb up search rankings, it has meant that many traditional anchor text based links have become less valuable. This has led to more and more companies focusing on social media to facilitate their link building campaigns. In this article we will explain how companies go about link building using social media. There are innumerable social media websites to consider, the main ones at this point in time are Facebook, Twitter, Google+, YouTube and Pinterest. Before a company can begin using social media to create links back to their website, they will need to identify who their target audience is. In order to do this they will need to use industry data and social listening tools that provide information about what people are talking about on social media websites. This data can be used to help them create profiles of their target audience. The next step companies take is to create core groups from their target audience data. These are different groups of people that will be interested in their business and the products they sell. Some of these core groups will be influencers. These are people that will be willing to post about a company’s products on social media websites, creating backlinks and sharing them with their friends and followers. Before a company can begin drumming up interest for their products on social media websites, they will need to develop a persona. In order to do these they will need to provide information about their business on their profiles, as well as post content and links related to the industry they are part of. This will enable other users, as well as search engines (ranking websites) to see the company as an industry expert and someone with authority. In order to gain social signals (likes, retweets, shares) from other users with social influence, companies need to carefully plan the content they post. It is essential that the subjects they post about are natural and relevant to their industry. Simply spamming users with links to their website will not lead to any positive results. In order to gain links from other users they will need to offer them something of value and interest. This may be an infographic, or something relevant to a topic of discussion like a video. It is essential that companies become valuable resources to others on social media websites. The more followers you gain across various social media websites and the more that your content is shared, the more links you will build up to your main website. ‘Shares,’ ‘likes’ and ‘tweets’ are known as social signals and play an important role in how search engines rank websites for specific keywords. The more social signals a business has, the more likely they are to be ranked highly by search engines. Since the introduction to Google’s latest algorithm ‘Penguin,’ social media has become increasingly important. The platforms provide the perfect environment for companies to build up links to their main website, through interacting with other influencers, sharing valuable content and building up a following of targeted users. Unfortunately it is not as simple as setting up social media accounts, posting a little content and expecting to see results. Link building is a lengthy process but is worth persevering with as you will likely see fantastic results for your business in terms of SEO and traffic levels over time.